Are you sick of seeing the same conventional automakers blasting ads and scattering dealerships all over the place? 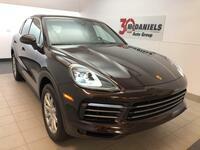 Keep driving and make your way over here to McDaniels Porsche! 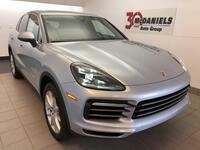 We have only the best luxury performance cars and SUVs. 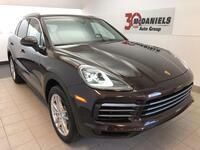 The Porsche Cayenne is one of the most well-known luxury SUVs in the industry, and it just keeps getting better. 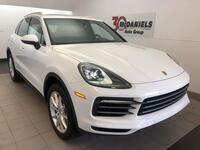 Check out how it compares here as we look at the 2019 Porsche Cayenne vs 2018 Porsche Cayenne! So should you upgrade to the newest Cayenne, or opt for the 2018 model and save a little extra cash? While we loved the 2018 Cayenne, the 2019 model has made even more strides toward perfection with a new engine that offers more power and a few tweaks and fine-tuning under the hood. So how else do they compare? Check out some head to head comparisons in the table below! What’s New in the 2019 Cayenne? A vehicle is only as thrilling as the person holding the steering wheel, but if you need a little extra adrenaline boost, the 2019 Cayenne is here to save the day. Interested in owning your own? 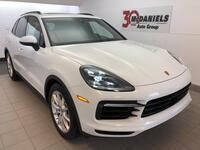 Get in touch with the team here at McDaniels Porsche to learn more or schedule a test drive here on our website!